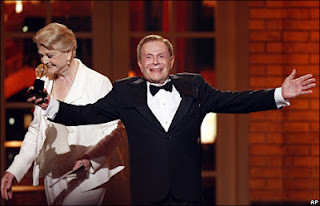 Today, Jerry Herman celebrates his 81 Birthday and I wish him the best of times! I fall in love with his music since the day I saw the movie adaptation of HELLO, DOLLY! and no one writes uplifting songs like the ones he did. I keep hoping for him to write a new musical or at least for someone to release a “Unsung Jerry Herman” album.